Sure, your app looks great in the simulator, and maybe even on your phone. But can it handle real-world use? UEFA Euro 2016 has taken over France, with games taking place at 10 stadiums in 10 cities. For soccer fans and travelers, mobile devices and apps are essential to being able to find transportation, dining and lodging options. Oh, and of course to stay up-to-date on all of the Euro 2016 matches taking place. Thousands of fans from England, Germany, Switzerland and many other countries have taken planes, trains and automobiles to France to support their national teams in some of the biggest matches of the year. When you combine the fact that smartphone ownership across Europe has almost doubled since 2012 with the sheer volume of people making their way to France and how reliant most of them are on apps, then Euro 2016 becomes quite a unique use case for mobile app testing. Fans are using multiple apps in congested urban areas. Fans visiting French cities like Paris, Bordeaux and Marseille are using multiple apps in congested urban areas, dealing with sudden spikes in user load, switching networks, managing low batteries, roaming on newer smartphones — from AT&T or Verizon, to Orange or France/SFR — yet the most-used devices in the country are not always the newest iterations of Apple and Android phones. You need to ensure that your app is tested for all devices and real-world elements, such as a jam-packed soccer stadium or a bar along the bustling Rue de Marais. Giving fans a great digital experience in the moment they need it — despite all of the challenges involved — is paramount, and is achievable when understanding the user journey and testing against the conditions contained therein. Let's first take a look at the typical journey of a fan from another country to watch the games being played in Paris and Saint-Denis. Upon landing in the Charles de Gaulle Airport, the traveler will likely already be using an app to alert their friends and family members of their safe arrival into the nation's capital city. This could be the highly popular WhatsApp, or Viber. WhatsApp is a great example, as this app has struggled with traffic volume-based outages on several occasions in the past — and you better believe that traffic volumes will be immense at Charles de Gaulle Airport and throughout France during the Euros. Let's say that those apps had been tested properly against user conditions, and worked. Telling mom and dad the travels went well — check. Next, the traveler would likely turn to Uber, though Heetch has gained some steam in Paris, but mostly for late-night rides. Or, maybe to BlaBlaCar, which is a long-distance ridesharing app, should the user want to travel to Nice, Marseilles, or one of the other cities hosting matches in this competition. Transportation — check. While in the car on the way to the hotel, the traveler would then likely check on their reservation on TripAdvisor, or another mobile app, then turn to the Ulmon app, which has about 15 million users at any given time. Ulmon has offline mapping capabilities, as well as tourist information for restaurants and landmarks such as the Eiffel Tour, the Louvre or Sacre Coeur, and even tips from locals as to where to go. Plans for sightseeing and dinner — check. Of course, anyone traveling to France from Germany, England or another foreign country will likely have their official Euro 2016 app open at all times to keep up with the scores. This app is somewhat prolific and deserves a deeper look from testers given how many user conditions must have been tested. 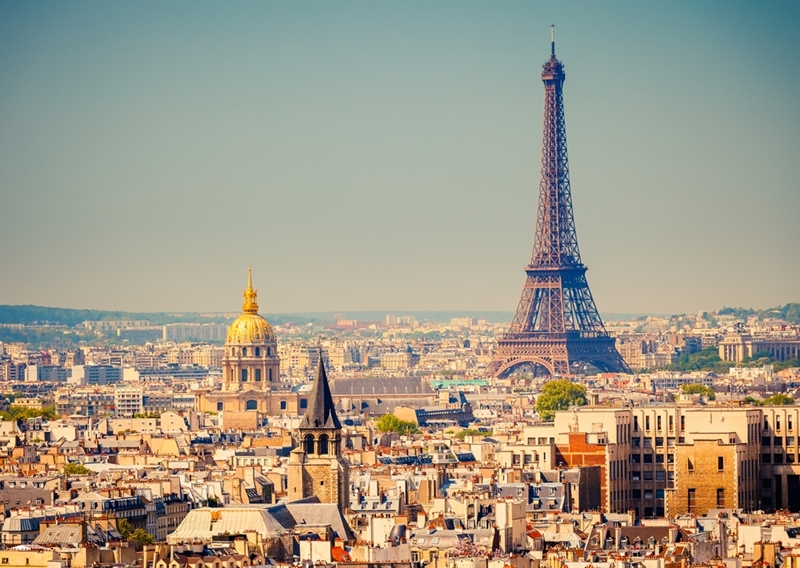 Will your mobile app thrive in French cities during Euro 2016? To-the-minute updates on all plays in each of the countless games that took place in the opening rounds through the final on July 10. Personalized options that allow fans to only follow their teams and the ones they are competing with for a spot in the elimination round. Up-to-date standings for the tournament at large. News regarding the non-sporting events taking place in the cities in which games are being played. Information on broadcast stations to watch games. Photos of matches and highlights. Myriad user conditions must be tested against for success. Now, with millions of people using the app, suffice it to say its testers have been hard at work throughout the group stage and likely will be all the way up until the finals. Complaints have trickled in due to a lack of usability at points and the app's inferiority compared to the main website. Outages, though, have not been a problem, which shows that the testers did indeed consider traffic spikes before releasing it. And, on the whole, it has an average rating of 4.2 out of 5 stars on the Google Play store out of more than 27,000 reviews, which is certainly not too shabby. Phone call and text interruptions. Shortage of memory on the phone — especially should the traveler be checking out that Euro 2016 app. Switching networks due to either carrier availability, traffic or otherwise. Other apps running in the background — including those for traveling, transportation, and social media. Sudden spikes in mobile traffic, which will likely be most common for the Ulmon app and the Euro 2016 app. So, if you're a mobile tester who has targeted Euro 2016 to increase downloads and activity, ask yourself this question: Does your app hold water amid all of these user conditions and those that might be more specific to your app? Simply put, if it does not, your customers are not going to have the user experience your app needs to thrive at exciting, high-stress events like Euro 2016.